William Barcley addresses the heart of the matter — the discontent that lies within. Based in the writings of Jeremiah Burroughs and Thomas Watson, he presents afresh these great Puritans’ meditations on contentment for a modern audience. Above all, he seeks the wisdom of Paul, who declared that he had found the “mystery” or the “secret” of being content. 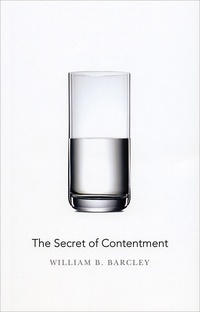 Contentment must be learned, and Barcley reveals the secret, calling us to a contentment that comes from knowing God and delighting in his sovereign goodness and fatherly care.